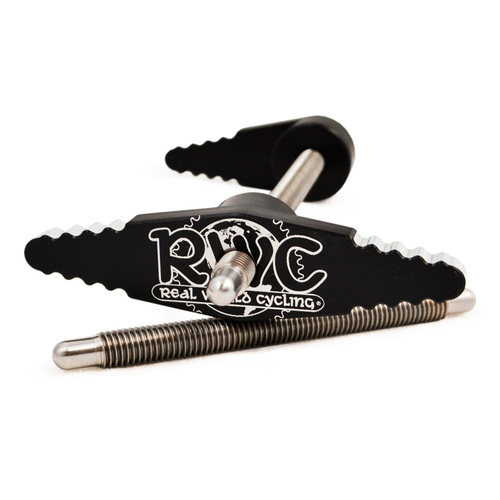 This is the recommend tool for installing or removing our Shock Eyelet Needle Bearing Kits. (Add our special DU Pilot listed separately for DU bushing removal and installation!) Prevents needle bearing cup damage by properly aligning the bearing with the shock eyelet. Does not include handle set. 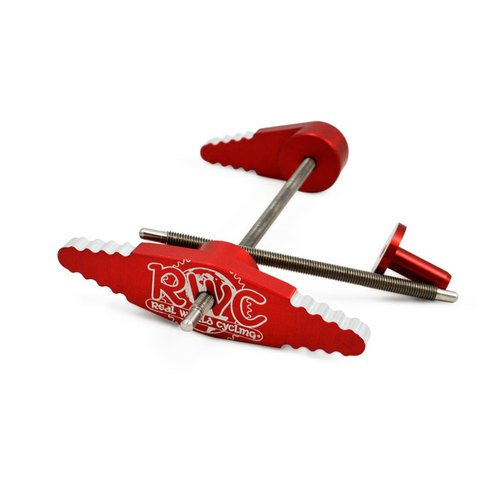 Can be used with the RWC Handle Set 1, RWC Handle Set 2, Enduro Hub Bearing Press handles, a vise, or a threaded rod with washers and nuts.This tool has a reversible body that has one side optimized for bearing installation and the other side optimized for bearing removal. 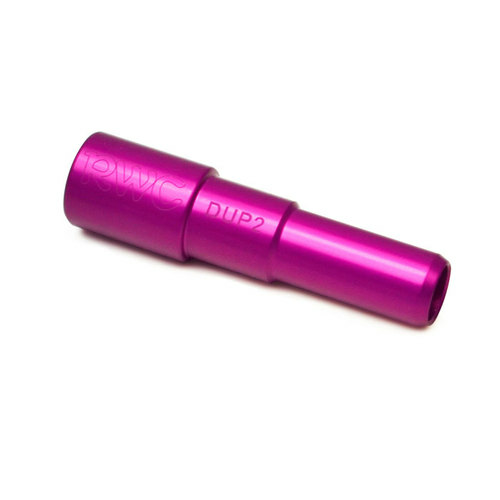 It also becomes a DU bushing tool by adding our DU Pilot.